As a Brooklyn native, Olivia Dope is a sought-after DJ in the music & fashion industries. Olivia has been recognized by the NY Post as one of NYC’s female DJ’s to watch. Holding steadfast to her motto “LivDope”, Olivia uses her passion for music, fashion and the arts to captivate her audiences and show them how to live in the moment. 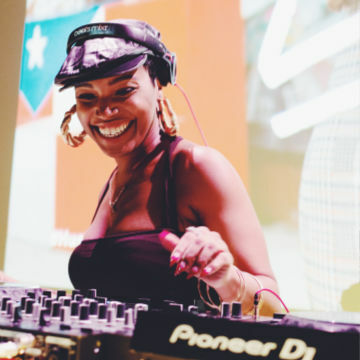 Olivia‘s unique approach to Dj’ing has caught the attention of clients such as; Adidas, InStyle Magazine, Jennifer Hudson, Janet Jackson, celebrity designers The Blonds, Mya, Rita Ora, Lil’ Kim; The Russell Simmons’ RUSH Philanthropic Arts; Justine Skye; Essence Magazine; BET’s Black Girls Rock, Essence’s Black Women In Music honoring Missy Elliott and official DJ for Warner Music recording artist Saweetie.